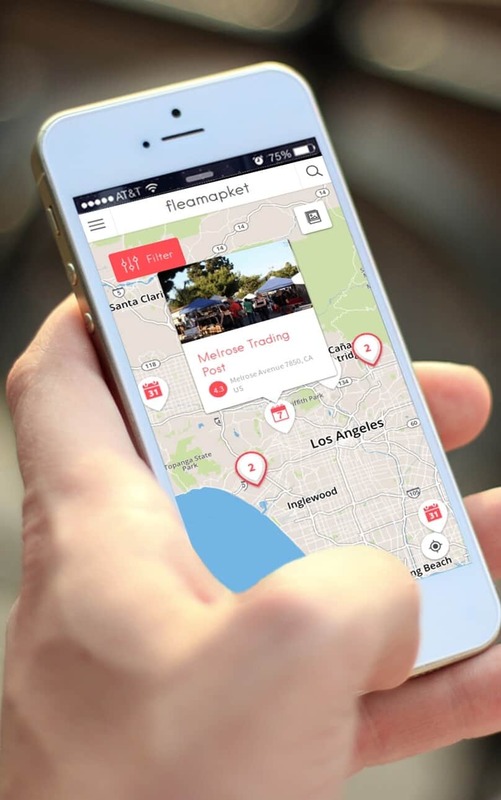 10 US Flea Markets You Absolutely Should Visit This Summer 4.4285714285714 out of 5 based on 7 ratings. 7 user reviews. 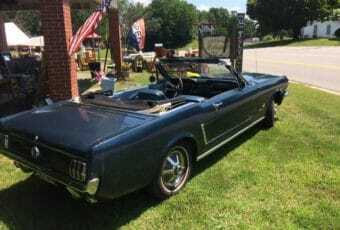 Much like an afternoon at the beach or a baseball game, a trip to the flea market in the US is a surefire sign that summer is upon us. Summer is undeniably the best season to shop for vintage curiosities and secondhand treasures, as flea markets, yard sales and antique shows pop-up all around the United States. 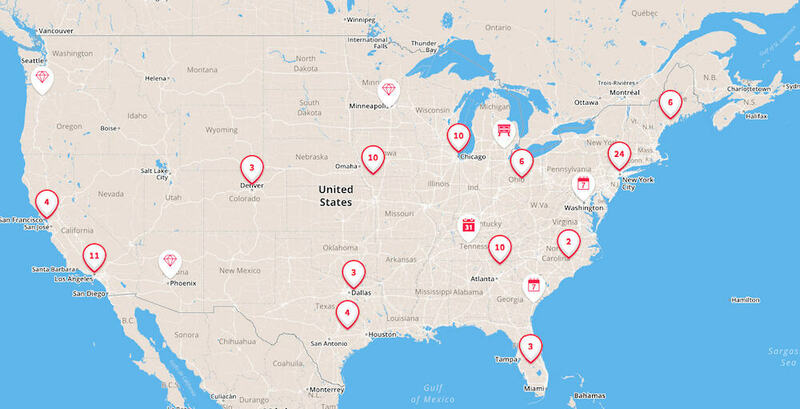 We’ve tapped into our flea market expertise to put together a list of the best US summer flea markets you absolutely should visit this season. 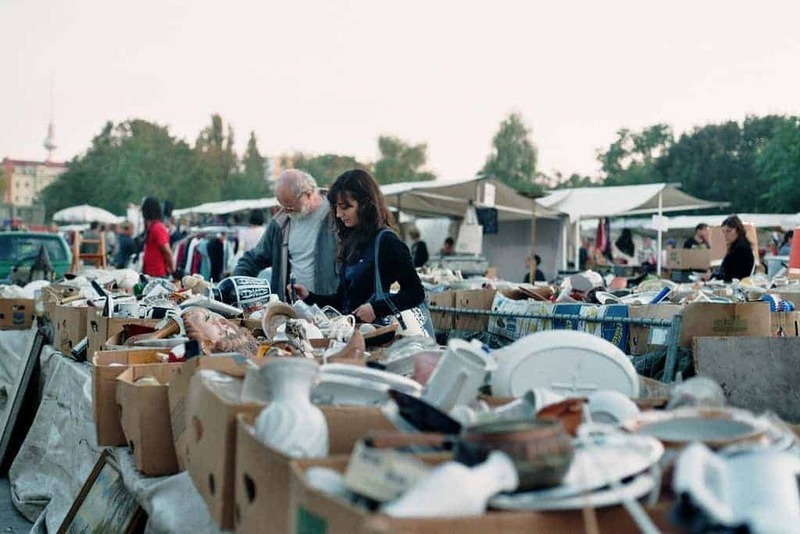 For antiquers, thrifters, and curious shoppers alike, summer flea markets across the US emanate an exciting atmosphere that other seasons just don’t seem to provide. 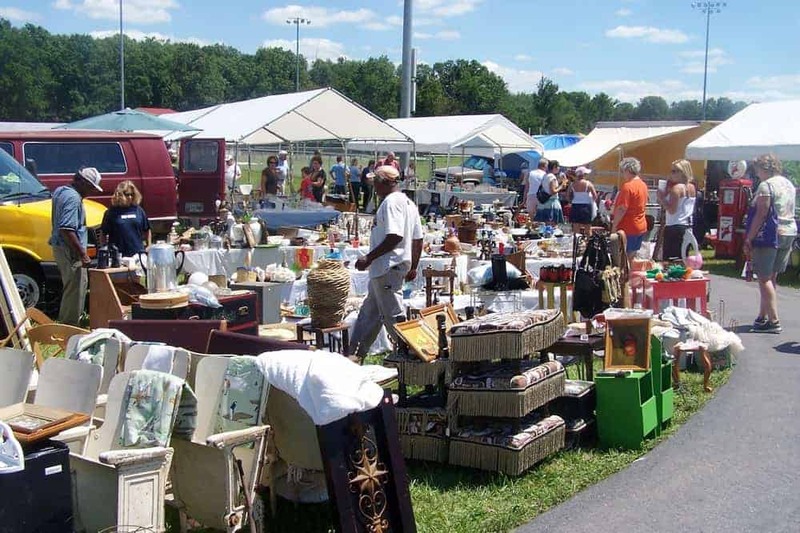 Many organisers in the USA host one-off jumbo flea market events in summer, which means that there is often a wider selection of vendors flocking to fairgrounds across the US, selling collectibles, rarities, and show-stopping antiques. From flea market classics like the Brimfield Antique Show, boasting top-tier antiques, to behemoths like the 127 Yard Sale which provides the perfect occasion for an antiquing road trip through rural America, these 10 amazing spots can’t be beaten in terms of their variety of merchandise, beautiful settings, and rich history. With over 1,700 booths (half indoors / half outdoors) and 1,200 dealers from 30 states, the Nashville Flea Market has more to show than what the average person can see in one day. No wonder why it is dubbed by many one of the biggest flea markets in the U.S.! The Nashville Flea Market showcases a lot of amazing stuff, and particularly antiques (about 80% older items and 20% newer items): from bric-a-brac to antiques, refurbished & vintage furniture, dollar items, wholesale stuff, crafts, jewellery, vintage clothes – you name it, the stalls at the Nashville Flea Market probably have it. 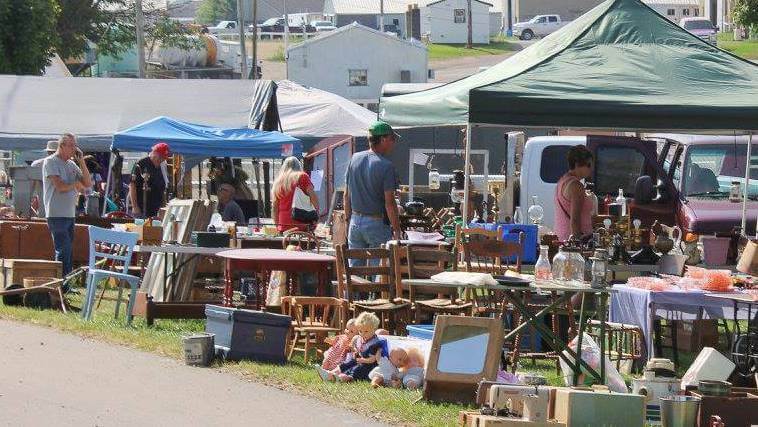 Dubbed the world’s longest yard sale, the 127 Corridor Sale stretches over 690 miles of scenic rural highway from Addison (MI) to Gadsden (AL), where thousands of individuals fill their front yards with items uncovered in their attics and closets. That is why, oftentimes, it is referred to as the 127 yard sale. This huge event is the ultimate US summer flea market that all vintage enthusiasts should definitely put on their bucket list. Over a four-day weekend every 1st Thursday of August, a wide variety of vendors set up shop roadside, hawking an unimaginable variety of secondhand and vintage items, including weathered iron bed frames, boxes of fishing lures, crocheted table linens and garden statuary. To make the most out of your experience at the 127 yard sale, keep in mind that you will have to pick and choose your focus. 127 yard sale is the perfect occasion for a road trip through rural America, and a once in a lifetime opportunity to hear incredible stories related to the individuals and the items they sell, and talk to people you may have never met otherwise. Having been used for agricultural, freight and industrial purposes more than a hundred years ago, the warehouses in the West Bottoms nowadays play host to the First Friday Festival Weekends. 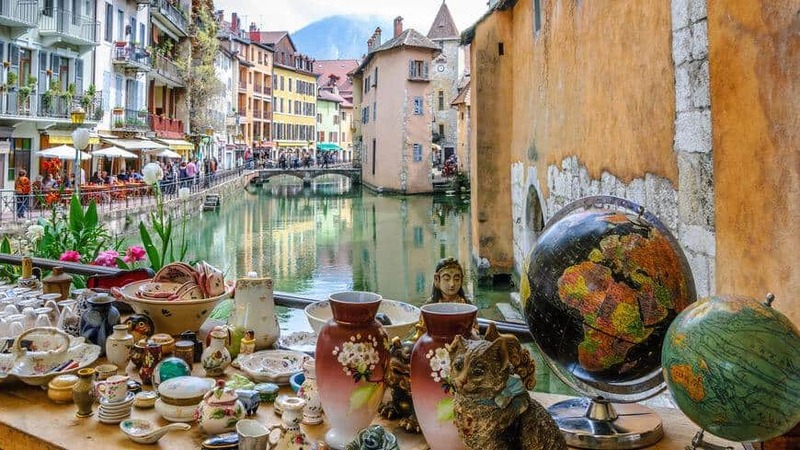 This flea market happens on the first weekend of each month (Friday to Sunday) and is considered a mecca for shoppers and bargain hunters, as it is crammed with of one-of-a-kind antique and vintage merchandise. The sheer amount of antique and vintage stores at First Friday Festival Weekends at West Bottoms is outstanding. Not only is West Bottoms home to 22 warehouses in a six-block area with approximately 600 vendors, but also to over 20 independent fashion retailers, cafés, food trucks, art galleries and restaurants. 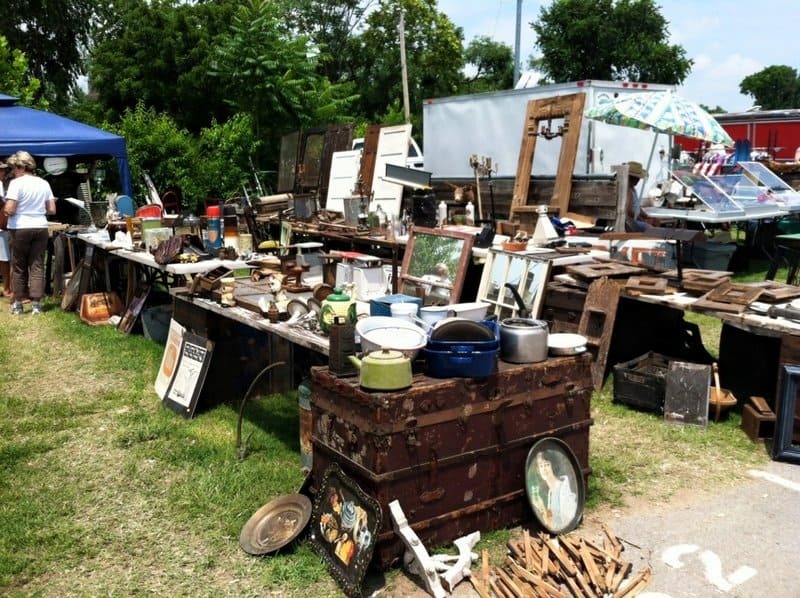 Attracting both locals and tourists – First Friday Festival Weekends at West Bottoms is regularly ranked one of the best antique show in Missouri – this destination should be on the to-do list of all antique enthusiasts traveling to Kansas City in summer. 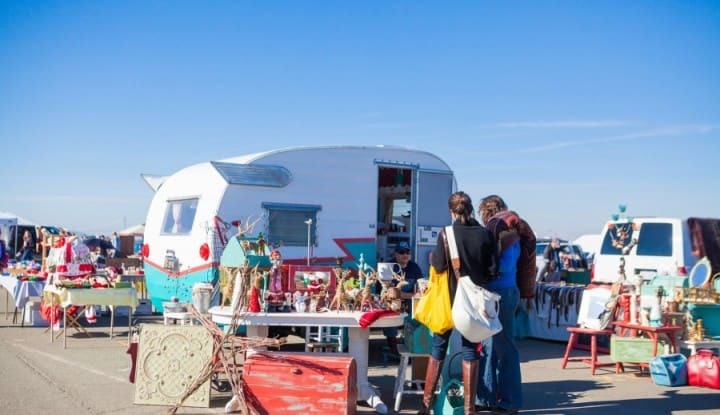 Held once a month on a former military air base, with the San Francisco skyline as a backdrop, the Alameda Point Antiques Faire is a must-do for Bay Area flea market enthusiasts and tourists who visit San Francisco in summer – especially those with a weakness for antiques and vintage. 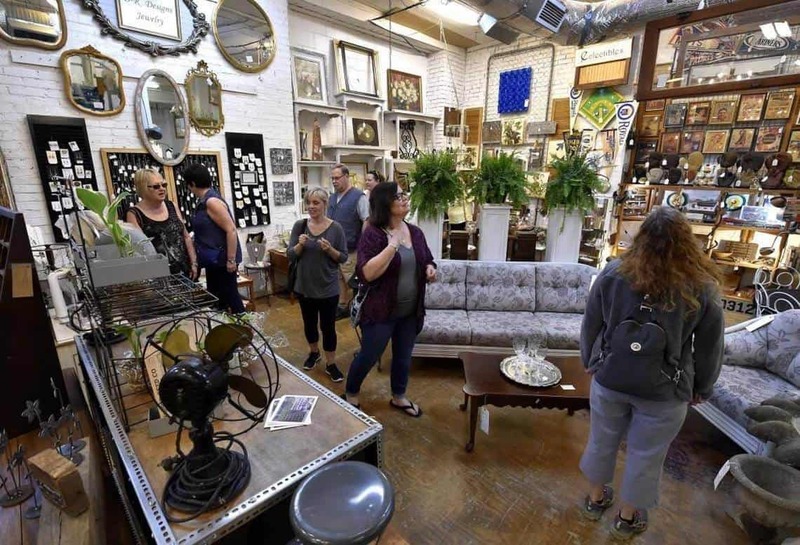 This Bay Area antiques establishment is the largest antiques show in Northern California, bringing in over 10,000 shoppers and 800 dealers each month. Because of its stringent vendor rules (all items for sale must be at least twenty years old), and the scarcity of quality antiques shows in the Bay Area, the Alameda Point Antiques and Collectibles Faire attracts a regular crowd of serious collectors and high-end antique dealers looking for some one-of-a-kind pieces to accentuate their individual home decor. Unique furniture is the norm, along with shoes, jewelry, wall sconces and a long list of antique odds and ends. 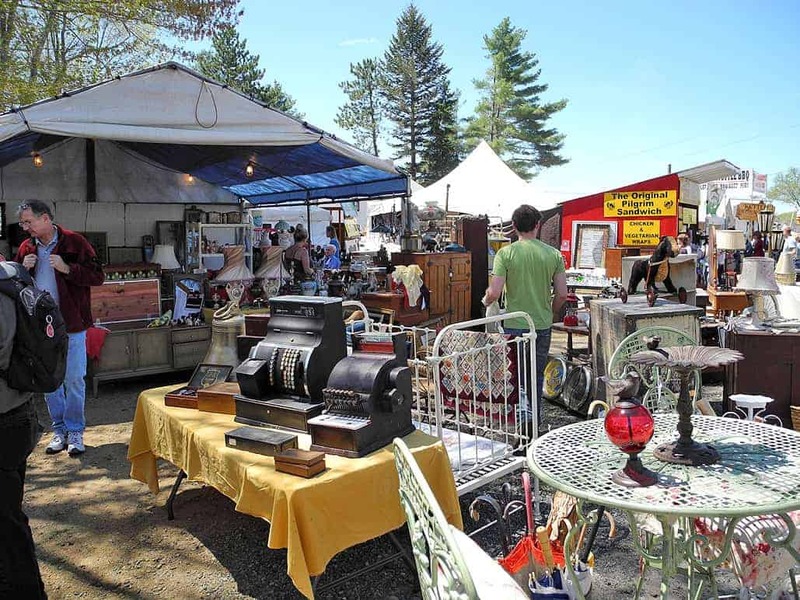 Brimfield Antique Show is one of the largest outdoor flea markets in the US. Each year, the show welcomes over 1 million visitors who come to shop for five days straight. Brimfield Antique show offers a peerless selection of affordable New England collectibles and maritime items. Indeed, with over 5,000 vendors spread over 20 fields on both sides of the main road running through Brimfield, five days ain’t too much to give Brimfield an in-depth look and shop for the likes of weather vanes, decoys, Nantucket baskets, brass lamps and ships’ wheels. 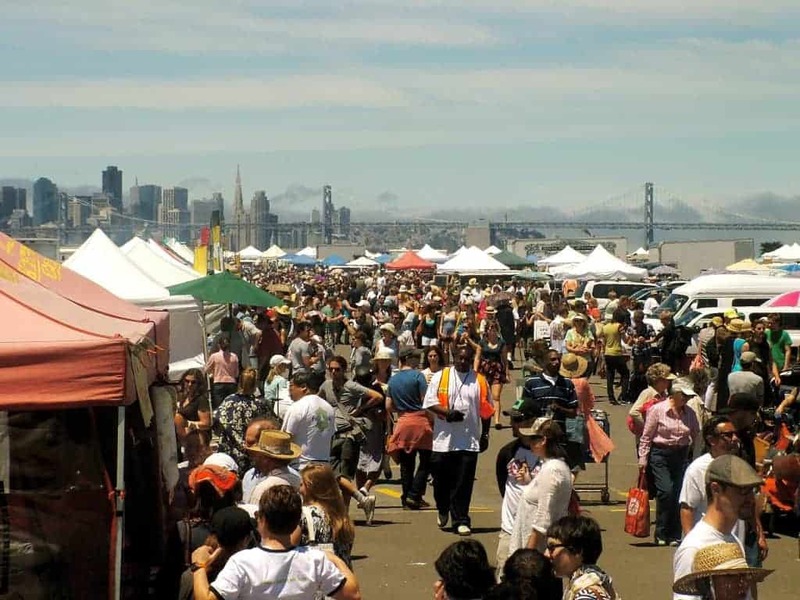 What is more, the summer season is known to be best for scoring a bargain: The July and September markets are generally slower in terms of visitors and may yield better deals than the crowded May outing, which serves as the region’s antiquing-season opener. 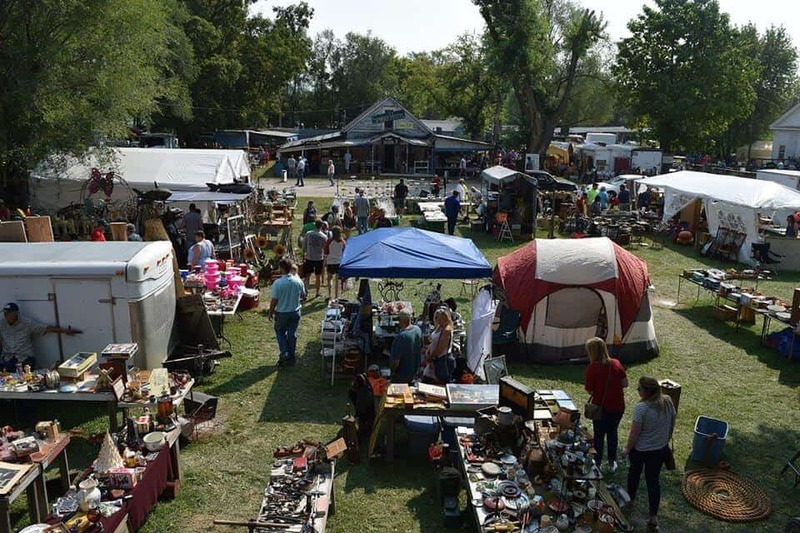 Inspired by the perfect setting of the Walworth County Fairground, as well as the area’s obvious appreciation for antiques and second hand goods, Elkhorn Antique Flea Market is a well attended event which takes place only four times a year. 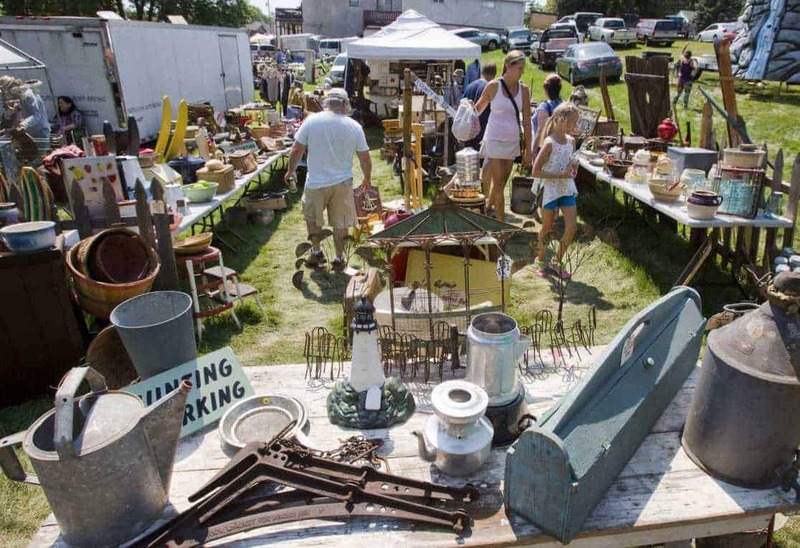 Elkhorn Antique Flea Market hosts around 500 dealers selling a great and wide range of antiques and second-hand items, ranging from used furniture and vintage toys, to industrial & rustic decor, and everything else in between. Merchandise includes old farming equipment, glassware, pottery, 1950s appliances, retro advertising, vintage linen and you may also find some antique chandeliers and Art Nouveau. The crowd attending the Elkhorn Antique Flea Market is as varied as the items for sale. Vendors selling at Elkhorn Antique Flea Market range from seasoned professionals to those that have literally just cleared out their attic. In these times of online shopping, one of the refreshing things about visiting the Elkhorn Antique Flea Market is the joy of picking things up, having a proper browse and getting to speak face to face with stall holders and other antique enthusiasts. During the height of summer, the Downtown Oronoco Gold Rush Days sets up along the banks of the Zumbro River for a wonderful second-hand and antiques market, with enough food and entertainment to qualify as more of a festival. 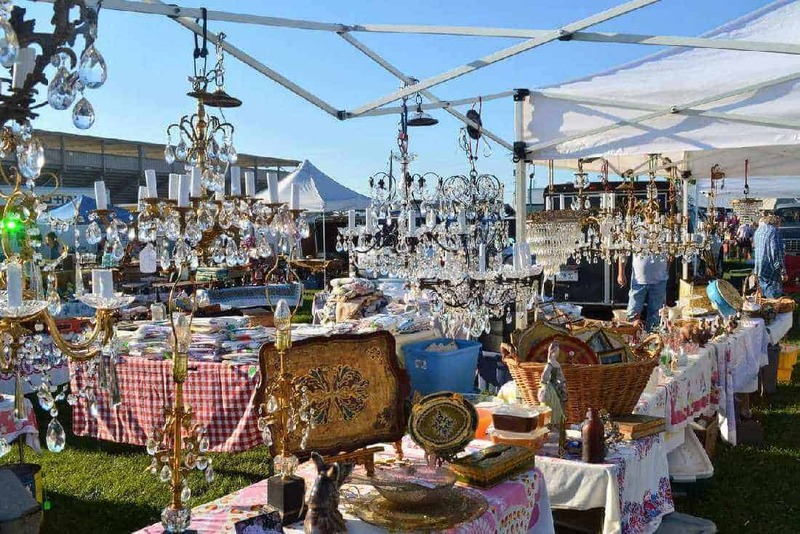 Established back in 1972, this renown flea market and antique show regularly identifies as one of the best six antique shows in the US to attend each year. The Downtown Oronoco Gold Rush Days hosts around 1,000 vendors, and the variety of items on sale is nothing short of fascinating. There is everything ranging from antique furniture to handmade handbags, glassware, toys, taxidermy, silverware, bronze, lighting, cast iron, antique automobiles, vintage linen, vintage clothing, decorations, vintage signs, handcraft stalls and everything else visitors can think of. As with most flea markets, haggling is welcomed and encouraged as a conversation starter. From April to October, Scott Antique Market Washington Court House holds a bi-monthly antique show which hosts over 600 booths filled with merchandises you would normally find in antique shops: Furniture from early American oak to paper Americana, heirloom-quality oil paintings, French home décor, jewelry, silverware, upholstered furniture, vintage toys, antique watches, kitchenware, antique tools, and vintage clothing. Scott Antique Market started back in the 1990s as a one person event, and has grown into one of the country’s largest monthly indoor antique show featuring three active locations: Atlanta (GA), Columbus (OH) and Washington Court House (OH). Not as large as Scott Antique Market Atlanta – the country’s largest indoor antique show with over 3,300 booths filled with fine antiques and collectibles – Scott Antique Market Washington Court House is nonetheless a Summer highlight because it only takes place 3 times a year. Twice a year the quiet little town of Sparks in Kansas positively bursts to life as over 75,000 visitors flock to attend the Sparks Kansas Antiques and Collectables Flea Market, a phenomenon that simply must be seen to be believe. Sparks Kansas Antiques and Collectables Flea Market has been in operations since 1982 and the event has grown year on year. 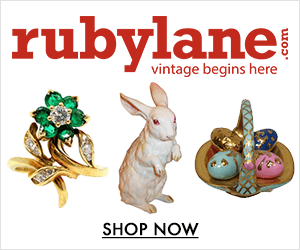 In fact, it is still gaining popularity, and is becoming the event that second-hand lovers and antique hunters across the country make sure they attend each year. Sparks Kansas Antiques and Collectables Flea Market hosts upwards of 500 booths – 450 of these being dedicated to antiques – it is no wonder that antique and vintage lovers show up in sparks each time without fail. Once home to the 1932/1984 Summer Olympics and the 1994 FIFA World Cup, the Rose Bowl Stadium now hosts once a month the largest flea market on the west coast. 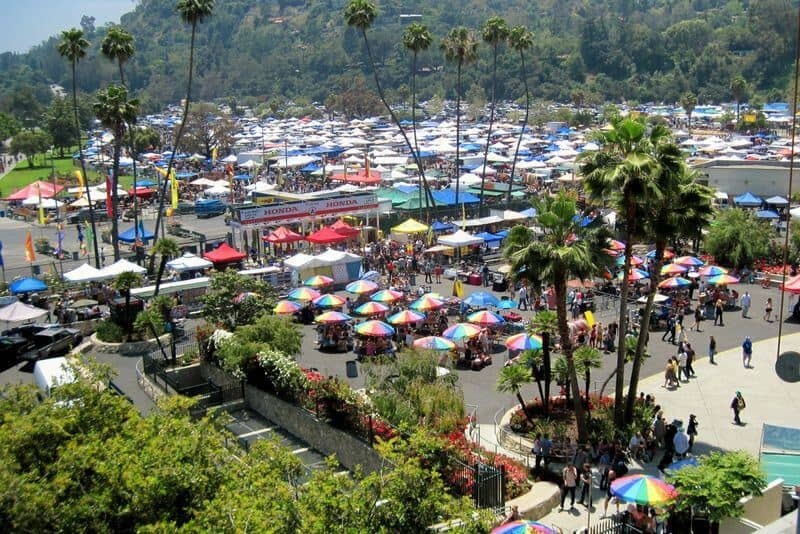 The Rose Bowl Flea Market is a true legend among flea market lovers in California, welcoming over 2,500 merchants and gathering up to 20,000 flea market enthusiasts every month. There’s little shoppers won’t find at the Rose Bowl Flea Market, whether it’s new, antiques, vintage or just old: vintage clothes & jewelry, antique furniture, ceramics and glassware, arts & crafts, fabric, antiques and collectibles, vintage photography, prints and paintings, music, and every imaginable type of merchandise are all to be found there. Hiya, great article! One minor issue, the dates for the 127 corridor sale are August 2nd through the 5th this year. Thanks Robin for spotting this mistake! 127 corridor sale indeed always takes place on the 1st Thursday of August.